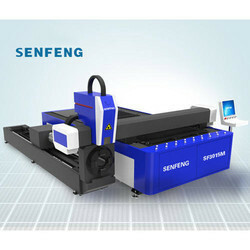 Pioneers in the industry, we offer sf2513g fiber laser cutting machine, sf2513e fiber laser cutting machine, sf3015g electric fiber laser cutting machine, sf1325g large format laser cutting machine, sf3015fl metal fiber laser cutting machine and shuttle table fiber laser cutting machine from India. 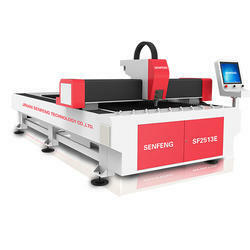 We are offering SF2513G Fiber Laser Cutting Machine to our clients. 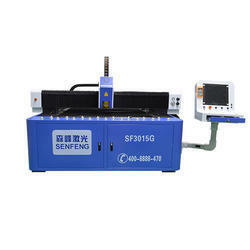 We are offering SF2513E Fiber Laser Cutting Machine to our clients. 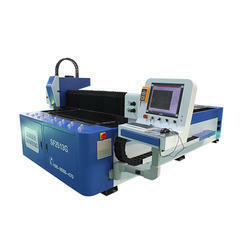 Fiber Laser cutting machine for working on Stainless Steel, Mild Steel, Aluminum. The dual gear and driver system to ensure high work precision. Imported guide rail and ball screw to guarantee machine stable work process. G series of laser equipment development goal is to give full play to the motion control performance and enhance efficiency of laser processing, no matter from the software design, mechanical structure, electrical properties to parts selection, emphasized the aim of processing field services all the time, under the environment of comprehensive quality management system of the factory production operation, stability, accuracy and speed of the three major indexes can reflect the world first-class equipment. Excelsior G series products, become the new assignment method for the industrial site - the best carrier for laser processing. With the improved panel, electrical appliances' layout more neat, beautiful and reasonable, further to eliminate interference. Use imported Italy synchronous belt, make sure processing stability and high precision. Application Industry: Models, crafts, advertisement decoration, building upholster, packaging and printing, paper product and high precision requirement industries. Applicable materials: Acrylic, plywood, MDF, cloth, leather, etc. 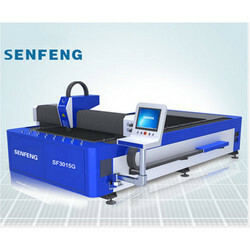 SF3015FL Metal Fiber Laser Cutting Machine is the best cutting tool for thin sheet metal cutting, especially for stainless steel and carbon steel cutting, which is mainly applied in the advertising industry and really affordable. 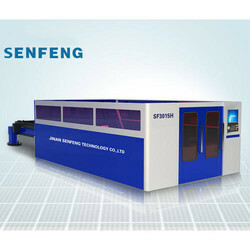 Shuttle table fiber laser cutting system SF3015A/SF4015A is widely used in a kitchen appliance, electrical control box, mechanical equipment, electrical equipment, lighting hardware fittings, elevator manufacturing, auto parts, hardware and metal processing. Imported original fiber laser generator with stable performance, the working lifespan over 100,000 hours. 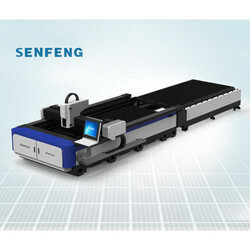 Work with high cutting quality and efficiency, the cutting speed up to 25m/min. The machine is especially used for cutting 0.4-20mm carbon steel, 0.4-10mm stainless steel, galvanized steel, 0.4-8mm aluminum alloy, 0.4-6mm brass and various other thin metal. Exchange table metal plates and tubes fiber laser cutting machine SF3015AM is especially for cutting carbon steel plates(pipes), 0.5-10mm stainless steel(pipes), galvanized steel plates and pipes, electrolytic zinc-coated steel(pipes), 0.5-8mm aluminum sheet(pipes) and 0.5-6mm brass(pipes) and other thin metal materials. Imported original fiber laser generator with great and stable performance to ensure the lifespan of 100,000 hours. 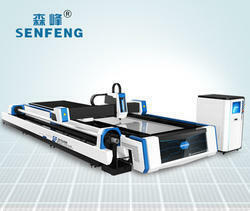 High cutting quality and efficiency with the smooth cutting edge.The cutting speed up to 60m/min. High-power fiber metal laser cutter with full cover is especially used for cutting 0.4-25mm carbon steel; 0.4-18mm stainless steel, galvanized steel, Electrolysis board, Silicon steel; 0.4-16mm Aluminum Alloy; 0.4-10mm brass and copper and other thin metals. Professional used to cut thin sheet metal, in a variety of high-quality carbon steel sheet cutting, can also be cutting stainless steel plate, aluminum alloy plate, galvanized sheet, electrolytic plate, silicon steel, titanium alloy, aluminum zinc plate and other metal materials. 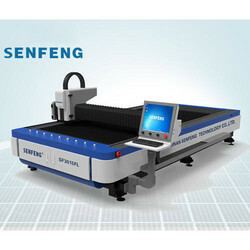 High cutting quality and efficiency with the smooth cutting edge. The cutting speed up to 60m/min. Dual and exchange work table to save uploading time. 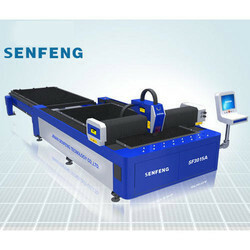 Full-cover metal tube laser cutting machine is especially for cutting 0.4-25mm carbon steel plates(pipes), 0.4-14mm stainless steel(pipes), galvanized steel plates and pipes, electrolytic zinc-coated steel(pipes), 0.4-12mm aluminum sheet(pipes) and 0.4-6mm brass(pipes) and other thin metal materials. 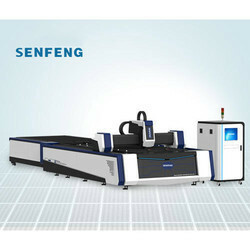 Fiber laser cutting machine for metal SF3015G is the best cutting tool for thin sheet metal cutting, especially for stainless steel cutting. 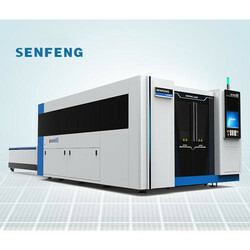 SF3015G Fiber laser cutting machine has the feature of compact layout, stable optical link, convenient operation and reliable performance. Widely used in advertising decoration, kitchen utensils, engineering machinery, steel, sheet metal chassis, automobile, air conditioning manufacturing, sheet metal cutting processing and so on all walks of life. Mainly aimed at cutting stainless steel, carbon steel, galvanized sheet, fast cutting of various kinds of metal material such as alloy plate. 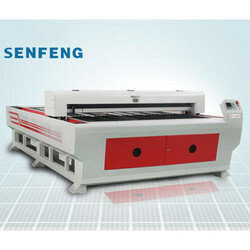 Integrated machine design, left and right collecting drawer design highly saving space. Stability and reliability for light path system and control system. 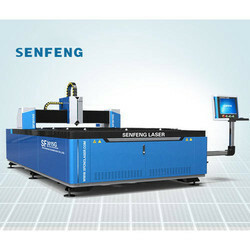 Fiber laser has high and stable function and lifespan which is over 100000 hours. Higher cutting quality and efficiency with cutting speed are up to 25m/min with the perfect cutting edge. High-performance reducer, gear and rack; Japanese guide and ball screw. 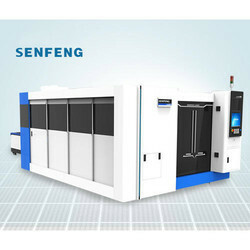 Fiber laser metal cutting machine has been widely used in sheet metal cutting, electrical switch manufacturing, aerospace, food machinery, textile machinery, engineering machinery, locomotive manufacturing, agriculture and forestry machinery, elevator manufacture, special vehicles, household appliances, tools, processing, IT manufacturing, oil machinery, food machinery, diamond tools, welding, welding gear, metal materials, decoration advertising, laser surface treatment of foreign processing services, such as all kinds of machinery processing industry. 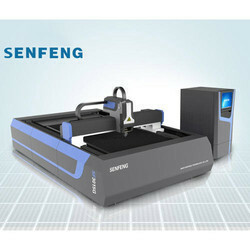 Fiber Laser Metal Cutting Machine SF3015A is the best cutting tool for thin sheet metal cutting, especially for stainless steel cutting. 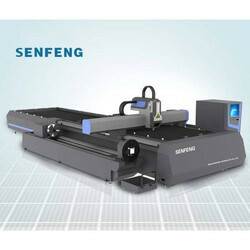 SF3015A Fiber Laser Metal Cutting Machine has the feature of compact layout, stable optical link convenient operation, and reliable performance and equipped with shuttle worktable. Metal Pipe & Metal Sheet Laser Cutting Machine is especially used for cutting 0.4 to 20mm carbon steel plates and pipes, 0.4 to 10mm stainless steel plates and pipes, galvanized steel plates and pipes, electrolytic zinc-coated steel sheets and pipes, 0.4 to 8mm aluminum, 0.4 to 6mm brass and various thin metal materials. Top quality fiber laser generator Raycus brand (option IPG), with great and stable performance, having a lifespan of 100,000 hours. German high-performance reducer, gear and rack; Japanese guide and ball screw. SF3015H/SF4020H High Power Laser Fiber Cutter can be applied in metal cutting, electrical switch manufacturing, aerospace, food machinery, textile machinery engineering machinery, locomotive manufacturing, agriculture and forestry machinery, elevator manufacture, special vehicles, household appliances, tools, processing, IT manufacturing, oil machinery, food machinery, diamond tools, welding, welding gear, metal materials, decoration advertising, laser surface treatment of foreign processing services, such as all kinds of machinery processing industry. Professional used to cut sheet metal, in a variety of high-quality carbon steel sheet cutting, can also be cutting stainless steel plate, aluminum alloy plate, galvanized sheet, electrolytic plate, silicon steel, titanium alloy, aluminum zinc plate and other metal materials. 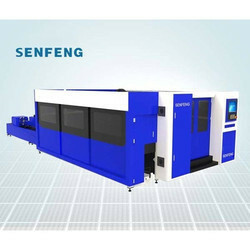 Fiber Laser Cutting Machine SF3015G3 is widely used in a kitchen appliance, electrical control box, mechanical equipment, electrical equipment, lighting hardware fittings, elevator manufacturing, auto parts, hardware and metal processing. Exchange table metal plates and tubes fiber laser cutting machine SF3015AM is especially for cutting carbon steel plates (pipes), 0.5-10mm stainless steel (pipes), galvanized steel plates and pipes, electrolytic zinc-coated steel (pipes), 0.5-8mm aluminum sheet (pipes) and 0.5-6mm brass (pipes) and other thin metal materials.